A thorough inspection can only be completed by a veteran inspector who utilizes up to date technology, reporting software, certified training, and years of experience. Don't Let a Rookie field test his knowledge on Your Home! Recommended by The Department of Energy for new homes, infrared thermal imaging is the single most comprehensive tool for diagnosing a residence, commercial building, features, systems and components. Any inspector who does not use infrared thermal imaging can not possibly detect, display and document invisible defects at your inspection which can cost you thousands of dollars. Buying a home is probably the most expensive purchase you will ever make so it makes sense to invest more in your home inspection. For example, if you were to receive $500,000 as a gift, and hire a financial advisor, would you be concerned about saving $25-$100 on advice? So, relate this to your home inspection. Most home inspections cost 1/10 of 1% of the home purchase. This is no time to "shop" for a cheap inspection. Find out why you need a thorough inspection from a third party article. Click here to find out why. The investment of a home inspection is very small relative to its market value. I am determined to perform inspections of the upmost quality, thoroughness, and alway with integrity. And that's value you can't afford to shop around for. As a buyer, whether the purchase is for the first time, second, or more, I personally make sure that you know and understand every fact about the property with regards to your inspection. For sellers, I will provide a report that gives 100% full disclosure, with no worries af a buyer coming back and questioning anything regarding the property. Anytime that you are purchasing a property, I understand that it is a HUGE investment. Everyone involved needs to know every aspect of the property. I take pride in providing this service. The majority of my business is from past clients, attorneys, agents, architects, builders, and contractors. 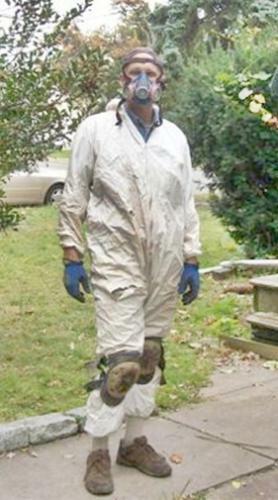 In fact, all of those aforementioned professionals have chosen me for their home inspection needs. Rest assured, I work directly for you, my client. My responsibility is to insure that the client understands every item that is reported in accordance with the State of New Jersey, rules and regulations, ASHI and INACHI standards and ethics. Furthermore, my role does not end after the report is completed. Should you have any questions months or even years down the road, you are encouraged to contact me and I will do whatever it takes to insure that you are completely comfortable with the property. I am here to assist you in making a confident decision about your property, based my inspection abilities and services. Whether you're buying a one-bedroom condo, or 15,000 sq. foot residential property, you want to be sure of what you're getting, or if renovating an older one, or selling a property and want to eliminate possible problems that could delay or lose a sale. Just want a professional to inspect and advise you on the condition and maintenance or safety concerns of your current home, I am here to help. You are my client, and I provide an unbiased, professional third-party opinion, without any conflict of interest. When I was looking for a home inspector, there were many recommendations that I received as well as many that I found online. My realtor suggested I call Peter Bennett and upon researching his website, I was immediately impressed with his credentials as well as the sample reports, this gave me confidence in the work he would do for us. Buying an older house, I wanted someone who would really go deep into every aspect of the house and help me truly understand what we were buying. When I called him, he spent time with me on the phone helping me understand the process and what I could expect. The morning of the inspection, Peter was there upon my arrival (and I was there 10 minutes early). He was very friendly and the process was very thorough and unrushed. He made sure that I understood the details of the house we were purchasing and helped me see the things that I should be aware of as well as the great things about the house. Two days later I received his report, which was great. It is almost laid out like a homeowners guide to YOUR house. So, It will be a great document to keep in a safe place to reference in the future. Overall, I appreciated his unbiased approach to this process. He was very professional and friendly, and I will be sure to recommend Peter to friends and family and use his services in the future. "As for the Uberinspector, I gave him another referral to someone outside of this board just this morning. Told them to make sure they sprung for the thermal imaging. Totally worth it." 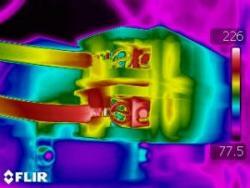 Question from a blogger: "what good is the thermal imagining on a house built prior to 1950? Honest question, I don’t get it. Old houses leak, its part of the “charm” (and lifestyle)." Answer from a blogger: "We found leaks that were not apparent to the naked eye. He also gave us a road map for insulating the place. It was pretty cool. And he was still competively priced to other inspectors even factoring in the additional charge. The guy spent 4 hours going through the place with us…and explaining the issues he was finding as he went. He was totally professional and amazingly thorough. " I can't thank you enough for finally solving the mysterious leaks that I've lived with during the nor'easters. My house was one of the more fortune ones to survive Superstorm Sandy. Since I have had to totally gut my first floor I was determined to take care of the leaks before I closed up my walls. I didn't have much confidence with my roofing contractor because the leaks showed up after they recently installed a new roof!!!!! Along comes Peter, who was recommended by a friend, and being the super sleuth that he is found both leaks, one was my roofers fault and one that had been haunting me for years was due to a crack in the seam of an upstairs window. For me it would have been like finding a needle in a haystack but not for Peter with his experience and high tech equipment!!!! Hooray for Peter!!! Once again, thank you for following up on this. I respect the fact that you actually care about your clients and you don’t just disappear after being paid like many other inspectors I’ve worked with. That’s why you are now at the top of my recommendations list. My wife and I recently sold our home and the couple buying our house hired Peter Bennett to conduct the home inspection. As any seller knows, you wait anxiously to find out what infact was unearthed during the inspection. When the report came in, it was one of the most detailed and thorough examinations we had ever seen, complete with infared imaging. So when it came time for the home inspection of our new home, while unusual, we knew there was not a doubt who we would hire to provide the same in depth inspection. Mr. Bennett spent over six hours covering every corner of our home, notating the smallest items that a more hasty Inspector would have simply missed. 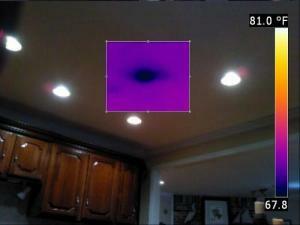 His use of Thermal Imaging and moisture detectors provides an understanding of your property unmatched. His detailed report was the frame work for a number of items the sellers had no choice but to remediate. Following the timely return of his report/findings Mr. Bennett was both available and extremely responsive in answering all of our questions. He didn't just dissapear after his work was done. 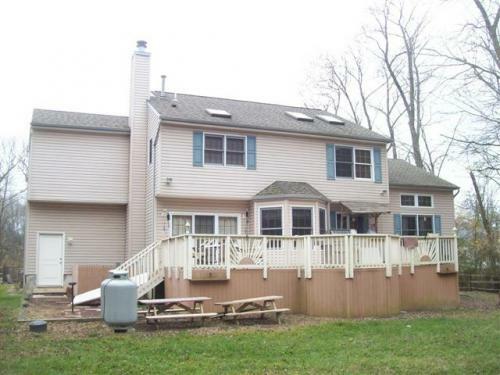 I utilized A Full House Inspection for a home my family is purchasing in Toms River. From start to finish, Peter Bennett was a consummate professional and did a thorough job inspecting the home and its systems. Peter not only looked at the systems but tested areas with an infrared camera to determine hot spots or cold spots. He looked inside the electrical panel, climbed into the attic and crawl spaces, walked the entire perimeter and noted any areas of concern, big or small, including a hot water heating that was in immediate need of repair. His report was detailed and clearly communicated all issues in need of attention. We were able to negotiate the purchase price down $2500 to cover repair costs after closing. I highly recommend A Full House Inspection. 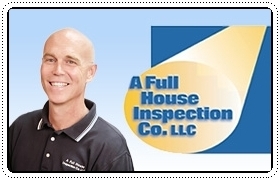 "Thank you so much for doing our home inspection. Your report was very thorough! Since so many major issues with the property were brought to light through your inspection, we have actually decided not to purchase the home. We are very glad we used your services, and we believe you saved us from buying a money pit. When we find another property to purchase, we hope to use your services again. --Thanks again, Jacob & Julia B." Thank you for the inspection report. It is very thorough! Everything else is great! It is a very comprehensive report and we are very happy that there is nothing major to repair. I also wanted to say that we were very happy with your service. You are a very personable man and we liked that you were okay with us following you around and asking questions. You gave us great information and were able to answer our questions. Thank you for that!